There seems to be evidence that the traditional Chinese diet is a healthy one. The various studies that have been conducted by Oxford University, Cornell University and several others have recently found that the eating habits of the Chinese have produced far less obesity than the average American diet, though they consume more calories daily (per pound of body weight). I contend that the reason is the excess consumption of carbohydrates relating to the amount of “junk food” that our culture tends to eat. Unfortunately, we feed our pets the same way we feed ourselves. I am referring to the grain-based processed pet foods that the majority of our household pets consume. Is it any wonder why 40% of our pets today are obese? Traditional Chinese medicine has long recognized the important connection between food and good health. The Chinese have learned that certain foods have healing properties and can be used to replace traditional medical treatments. Specific foods will often be recommended as part of the treatment plan for certain disorders. According to Chinese medicine, every food has a different “temperature”. Some foods are considered “hot” while others are classified as “cold. It’s all about balance – Yin and Yang. 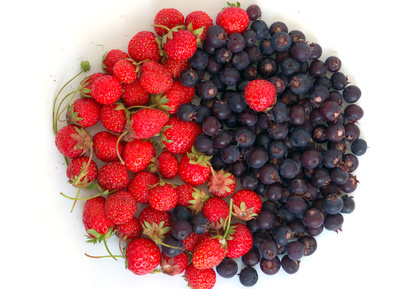 Balancing the body’s yin and yang by consuming foods with the proper “temperature” can effectively treat the disease and correct the imbalance the body is suffering from. Holistic veterinarians will often look to Chinese medicine when treating idiopathic diseases that have no definitive cause. When a condition in the body is caused by an inflammation (allergies), the vet will usually recommend feeding the animal a cooling food to counteract the condition, such as duck or turkey. Hot foods like chicken and lamb may aggravate an inflamed condition and will normally be removed from the pet’s diet completely. Other ingredients that can also cool the body are bananas, cucumber, kelp, lettuce, and oranges. The Chinese philosophy is to use frugality, simplicity and balance to effectively treat the condition – a lesson we all need to learn! Robert Mueller, BSc, Pharm. is a registered pharmacist and has been formulating raw diets for more than thirty years. 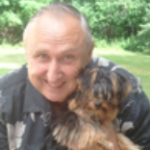 Recognized as one of the early pioneers in promoting raw foods to pets, Rob’s history of developing and promoting raw meat diets has exposed him to dogs, cats, and zoo carnivores worldwide. 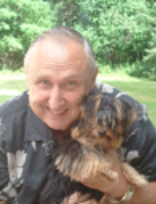 He is also the author of the book Living Enzymes: The World’s Best Kept Pet Food Secret. Rob and his wife love to travel with their dog, Ubi – a sheltie/beagle mix. Want to use this article on your website or in your blog? You can as long as you include this blurb as well as the short bio of the author above with all links intact. Is Your Dog Food Safe From Bacteria? « Sweet Potato Good For Your Dog?